Stefan designed, conducted and analyzed research-on-research around mobile data collection for Lightspeed through 2017. To date he has done work on location triggering, video recording, mobile question styles and survey length. Stefan joined Lightspeed in 2005 as APAC Programming Manager becoming APAC IT/Research Technology Manager in January 2007 (based in Sydney). In these roles he worked within most sections of the business including Operations, Panel and Scripting / DP. After this Stefan was the APAC Integration Manager helping the TNS panel group merge with Lightspeed. As part of this he also helped co-ordinate the merging of technology and training between the two organisations. From there he became involved in creating a workflow tool for the global organization. In early 2011 Stefan moved to London as a Senior Global Process Analyst in the Global Operations team. In this role he helped develop the framework for Honesty Detector, the MySurvey and GTM Mobile App (working with Lumi Mobile), and Mainstream. Prior to Lightspeed Stefan spent 5 years in marketing research working in analytic, scripting, and management roles at TNS, ACNielsen, Colmar Brunton, and Leading Edge. Stefan holds a Bachelor of Mathematics (Honours) in Statistics from University of Newcastle (Australia). Stefan has also completed courses in PRINCE2, change management, advanced statistical techniques, and management. 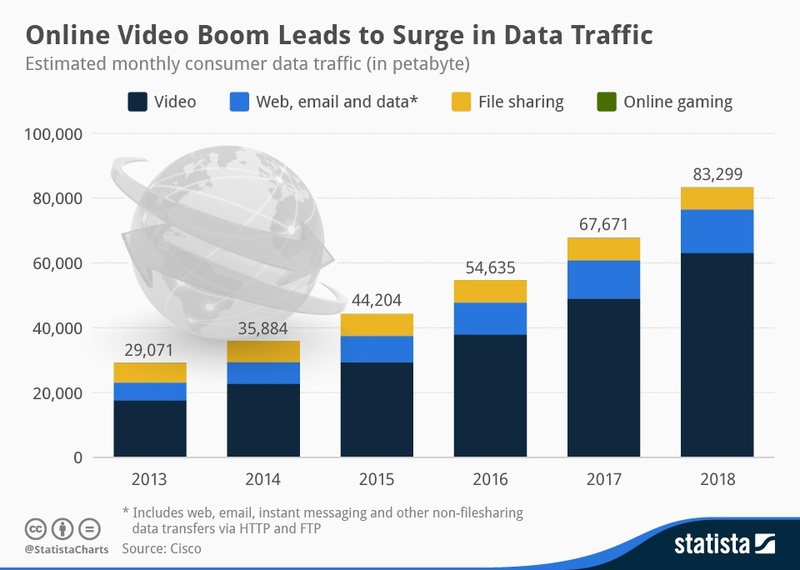 The trends indicate that video is going to push the data traffic usage over the next big peak. First text was all the rage, then came the time of pictures and everyone was taking a ‘selfie’ and now we are moving into the next age of content – the video age. With the increased abilities of smartphones, tablets and webcam, video content is exploding around the internet. Privacy and security of data make the news on a constant basis - the risks and the exposure to bad data security is a threat to brands and consumers. International laws are constantly updated or created to make sure privacy and data security cover the evolving needs of today's consumers. The New Question for Mobile Research: App vs. Web? Pepsi vs. Coke? Android vs. Apple? There never seems to be a right answer to these questions, but people are still strongly opinionated about their preferred brand. One question that may be up for debate even longer is app vs. web. 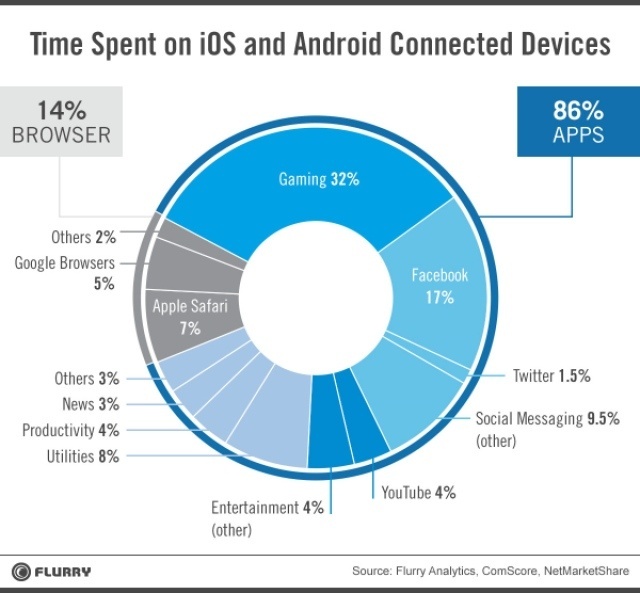 There are pages of stats and infographics, including the examples below, that highlight the strengths of apps for people to gain access on their mobile. Some things might always (currently) be done via the browser and even via the PC (i.e., banking) but when there is a choice the app is head and shoulders above. After an initial burst of interest in mobile ‘location’ services, the hubris died down a little. However, there has been renewed interest in location, once again, as technology has made some strides to catch up with the expectations of the marketing research industry. Location is seen as a piece of the puzzle within the ‘Path-to-Purchase’ process to help understand how consumers react within the store and what might impact them at the point of sale. Simply, where do they finally make the purchase? Is the Marketing Research Industry Moving at the Same Pace as Consumers? Our industry is at a cross roads, not for the first time. More than ten years ago, the online revolution transformed the way marketing research was conducted and allowed us to tap into a more readily available set of respondents. Fast forward to today and a similar shift is underway with mobile. Our need to engage willing survey participants is again a driving factor. This time, however, it’s from traditional, static online to online on-the-go. This shift is arguably a lesser transformation than an offline mode moving to surveys being programmed, completed and returned through an online platform. But it is nevertheless significant. 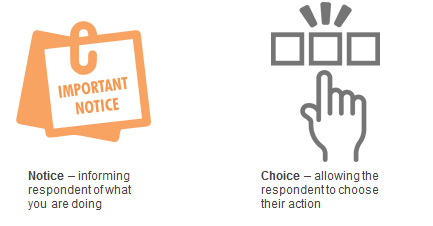 There is a feeling that mobile surveys make open-ended questions more difficult. Mobile is used mostly as a communications device -- writing or texting is one of the main activities that we use it for. We see this behaviour every day in the streets where everyone is writing to someone on their device regardless of it being a text, an email or social media post. Is your mobile device distracting you? 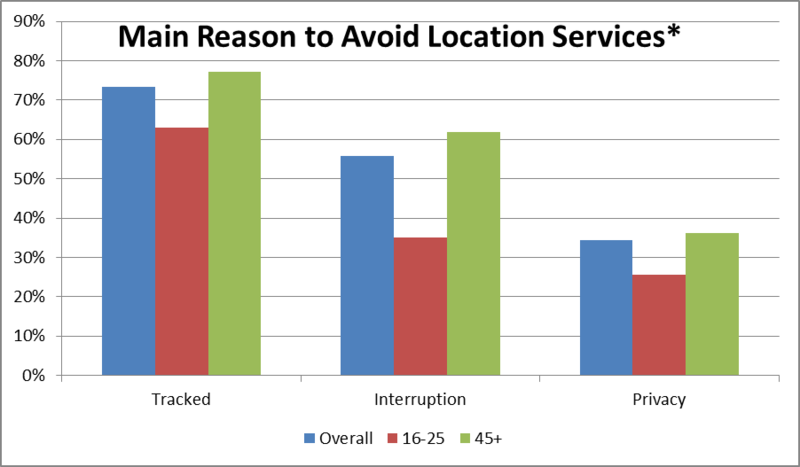 Does the distraction induced by mobile devices impact a respondent’s attention? Could Mobile Devices be the Death of Grids? Too many questions on the pages. Too many columns. Difficult keeping track of what box to check. This survey was HORRIBLE. It was TOO wide & TOO long to fit the screen so I had to keep sliding back & forth. I hate having to fill in so many bubbles. 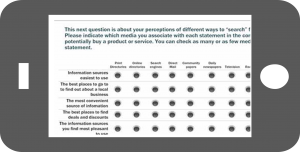 I can’t stand surveys with buttons across and all those rows down. They give me a headache. 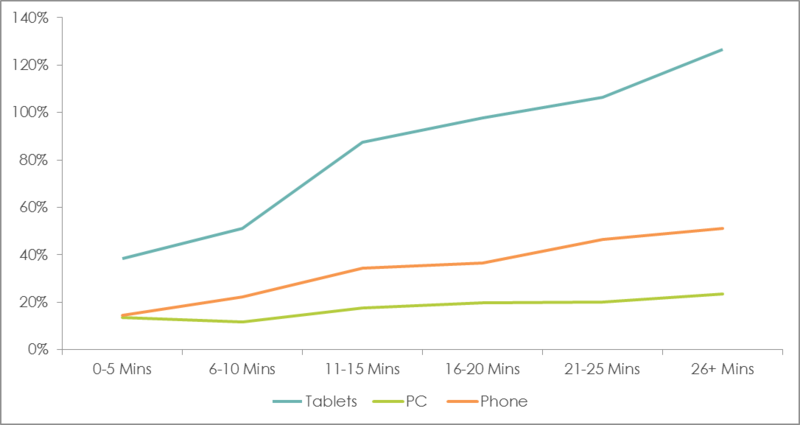 How Long is too Long on a Mobile Device? 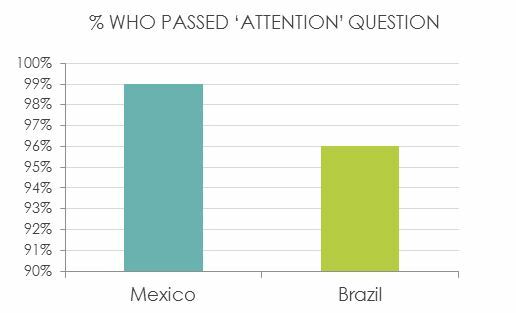 Recently, we’ve been receiving inquiries from our clients around the world on the length of surveys. 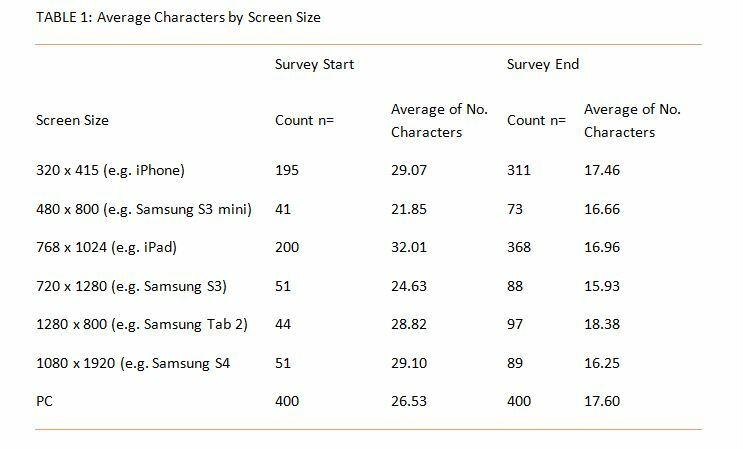 With increasing numbers of respondents accessing surveys via mobile devices, one of the key questions is how long is too long on a mobile device? To address this question Lightspeed GMI has conducted research in Australia, China, India, and the United States.